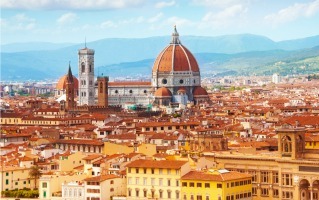 Italy has it all – the food, the history, the culture and the sights. 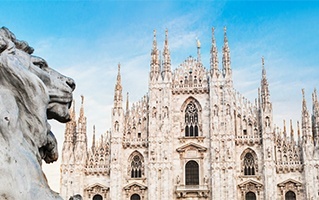 You can drink in the rich heritage of Rome, embrace the Renaissance romance of Florence or marvel at the cutting-edge glamour on show in Milan. This is a country of contrasts – from the sun-baked south famous for its pizza and beaches, to the more temperate north where the majestic architecture of Verona awaits. Wherever you end up going, it’s a great place to drive and enjoy the scenery, from the rolling green vineyards of Tuscany to the mountains of Piedmont in the north. 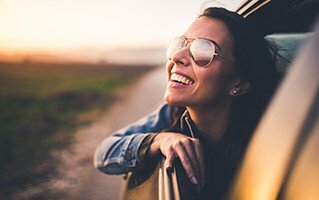 We make car hire in Italy simple, as we’re located at more than 200 locations nationwide, including all of the major airports, main cities and key train stations. From mouth-watering cuisine and exquisite wine to fascinating culture and history, there are so many reasons to fall in love with Italy. You’ll find Roman monuments from antiquity, masterpieces from some of the greatest artists of all time, and kilometres of golden coastline where you can soak up the sun. Just off the coast in northern Italy, Venice is a mesmerising warren of narrow streets, wide open piazzas and breathtaking architecture. It’s a place you can get completely lost and still have the time of your life. The towering basilica in the Piazza San Marco is your best reference point. With the water within touching-distance, it’s the perfect place to grab some gelato and watch gondolas float by. Head to the Leonardo da Vinci Museum and explore a range of exhibits dedicated to the life and genius the great man. Explore the achievements of this legendary figure, from his innovative inventions to paintings and artwork. 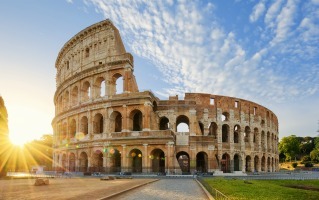 Rome is an expansive city of extremes with as many ancient monuments as there are ultra-modern shops, restaurants and bars. Built around 2,000 years ago, the Colosseum is one of the oldest structures in the city and a stunning monument to the might of Ancient Rome. You can take a guided tour of the complex, tread in the footsteps of the gladiators and get a real feel for the impressive scale of the complex. Italy is a country synonymous with the period of Enlightenment, and home to some of the most renowned artists of all time. Travel to the Sistine Chapel in Vatican City and stand beneath Michelangelo’s awe-inspiring ceiling frescoes. This hypnotic series of interconnected paintings includes the famous Creation of Adam. Wander round the Uffizi Gallery in Florence, on Piazalle degli Uffizi, and be taken aback by seeing the classics up-close. You’ll find treasures including The Birth of Venus by Botticelli, Madonna of the Goldfinch by Raphael and Titian’s Venus of Urbino. Take a trip to the Accademia Gallery on Via Ricasoli and stand in the shadow of Michelangelo’s immense Statue of David. Cuisine in Italy is so regional that you’ll discover a different menu just by driving an hour down the road, each one incorporating the area’s freshest produce. As a rule of thumb, wherever you are in Italy, you’ll always eat well if you sample the local specialty. Napoli in the south is famed as the birthplace of pizza, as well as for the seafood fished from the Gulf of Naples. The west coast is the seafood heartland of Italy. Enjoy squid, octopus and red mullet grilled over hot coals, finished with a squeeze of lemon and a drizzle of olive oil. Accompanied by locally grown vegetables or moreish, fresh pasta, this is Italian food at its most authentic. The northern region has more hearty fare, including meat stews and dishes rich with tomatoes. Alba in Piedmont is truffle-hunting territory and offers unique White Piedmont truffles which are among the tastiest and most expensive in the world. For a Venetian classic, look out for pasta with clams and white wine or a classic seafood risotto. 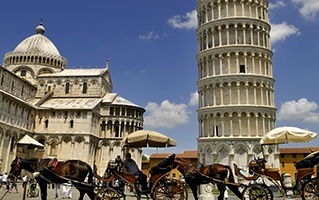 Car hire in Italy puts the very best of this magnificent country within easy reach. Northern Italy, home to Milan, Turin and Florence, has the most extensive road network in the country, which you can use to zip between each city quickly and conveniently. Milan is a great base for wider exploration, as it’s centrally located and ringed by a series of highways you can use to access different parts of the city and the wider region, too. The key highways around Milan are the A50 to the west and south, and the A4 which you can take west to visit Turin. No trip to Italy would be complete without visiting the city of Venice, a spectacular series of buildings spread across 100 islands in the warm waters of the Adriatic Sea. Simply take the A4 road east, park up and get a train or boat to the islands. To access southern parts of Italy, such as Rome and Naples, take the A1 south. The A1 is Italy’s premier highway and runs down the western flank of the country, from Milan in the north to Naples in the south. When in Rome, you can use the circular A90 to access different suburbs of the city. 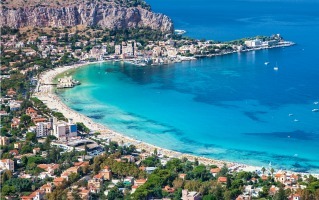 You’ll also use the A90 to escape east to the beach at Ostia, and when you want to continue your journey north to Milan and Florence or south to Naples and Sicily. On the opposite flank, the A14 runs from Milan all the way down to Bari in the heel of Italy, providing easy access to a variety of east-coast attractions on the Adriatic Sea, such as Ancona, Rimini and Pescara. Speed limits are changeable across the country, with a cap of 130km/h on highways, 90km/h on normal roads and 50km/h in towns and cities. You can find out more about toll roads here.